SAN DIEGO (AP) — A lawyer representing a driver who reports his Toyota Prius sped out of control on a California freeway is sticking by his client's story despite a congressional memo that raises questions about what happened. Attorney John Gomez said Sunday that he's unmoved by the memo saying investigators were unable to replicate the incident during an inspection last week. He also challenges a finding in the memo that it does not appear feasible that the gas pedal got stuck under Toyota's brake override system. Gomez says James Sikes is not trying to get famous or rich from Monday's incident. He says the 61-year-old California man will not sue Toyota and is turning down media requests for interviews. This is the latest update. The original story is below. SAN DIEGO (AP) — Investigators with Toyota Motor Corp. and the federal government could not replicate the runaway speeding reported by a Prius owner who said his car's accelerator stuck as he drove on a California freeway, according to a memo drafted for a congressional panel. The memo, obtained Saturday by The Associated Press, said the experts who examined and test drove the car could not replicate the sudden, unintended acceleration James Sikes said he encountered. A backup mechanism that shuts off the engine when the brake and gas pedals are floored also worked properly during tests. Sikes, 61, called 911 on Monday to report losing control of his 2008 Prius as the hybrid reached speeds of 94 mph. A California Highway Patrol officer helped Sikes bring the vehicle to a safe stop on Interstate 8 near San Diego. The incident happened at the worst possible time for Toyota, which has recalled millions of cars because of floor mats that can snag gas pedals or accelerators that can sometimes stick. Just hours before the incident, Toyota had called reporters to its Torrance, Calif. office to hear experts refute claims that the company had not identified — or fixed — what might be causing its cars to speed out of control. Sikes' car was covered by the floor mat recall but not the one for sticky accelerators. He later told reporters that he tried to pull on the gas pedal during his harrowing ride, but it didn't "move at all." During two hours of test drives of Sikes' car Thursday, technicians with Toyota and the National Highway Traffic Safety Administration failed to duplicate the same experience that Sikes described, according to the memo written by the Republican staff of the House Committee on Oversight and Government Reform. One congressional staff member observed the investigation of Sikes' Prius. "Every time the technician placed the gas pedal to the floor and the brake pedal to the floor the engine shut off and the car immediately started to slow down," the memo said. Also, the Prius is designed to shut down if the brakes are applied while the gas pedal is pressed to the floor. If it doesn't, the engine would "completely seize," according to the report that cited Toyota's "residential Hybrid expert." "It does not appear to be feasibly possible, both electronically and mechanically that his gas pedal was stuck to the floor and he was slamming on the brake at the same time," according to the memo. The memo did say that investigators found the front brake pads were spent. "Visually checking the brake pads and rotor it was clearly visible that there was nothing left," it said. But the wear was not consistent with the brakes being applied at full force for a long period, the Wall Street Journal reported Saturday, citing three people familiar with the probe, whom it did not name. The newspaper said the brakes may have been applied intermittently. 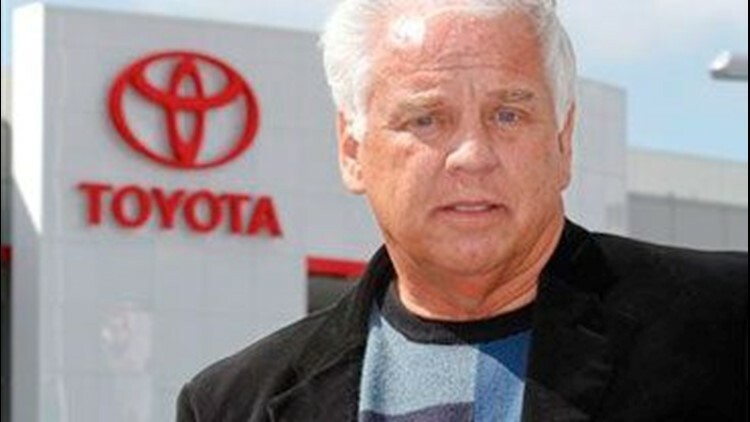 Toyota Corp. spokesman Mike Michels declined to confirm the Journal's report. He said the investigation was continuing and the company planned to release technical findings soon. Jill Zuckman, spokeswoman for the U.S. Transportation Department that oversees the highway safety agency, said investigators "are still reviewing data and have not reached any conclusions." The findings raise questions about "the credibility of Mr. Sikes' reporting of events," said Kurt Bardella, a spokesman for California Rep. Darrell Issa, the top Republican on the oversight committee. Sikes could not be reached to comment. However, his wife, Patty Sikes, said he stands by his story. "Everyone can just leave us alone," she said. "Jim didn't get hurt. There's no intent at all to sue Toyota. If any good can come out of this, maybe they can find out what happened so other people don't get killed." Mrs. Sikes said the couple's lives have been turned upside down since Monday and they are getting death threats. "We're just fed up with all of it," she said. "Our careers are ruined and life is just not good anymore." Monday's incident appeared to be another blow to Toyota, which has had to fend off intense public backlash over safety after recalls of some 8.5 million vehicles worldwide — more than 6 million in the United States — because of acceleration and floor mat problems in multiple models and braking issues in the Prius. Regulators have linked 52 deaths to crashes allegedly caused by accelerator problems. Sikes called 911 from the freeway on Monday and reported that his gas pedal was stuck. In two calls that spanned 23 minutes, a dispatcher repeatedly told him to throw the car into neutral and turn it off. Sikes later said he had put down the phone to keep both hands on the wheel and was afraid the car would flip if he put it in neutral at such high speed. The officer eventually pulled alongside the car and told Sikes over a loudspeaker to push the brake pedal to the floor and apply the emergency brake. Once the car slowed to 50 mph, Sikes shut off the engine, the officer said. The congressional memo obtained by the AP describes a series of tests conducted by Toyota and the NHTSA on Wednesday and Thursday. A full diagnostics was conducted, followed an inspection of the brakes and a test drive. Investigators also compared the Sikes vehicle to a 2008 Prius provided by a Toyota dealership. NHTSA told congressional staff that the results "were the same on both vehicles and within the manufactures specifications," according to the memo. Following the tests, NHTSA paid Sikes $2,500 for the gas pedal, throttle body and the two computers from his vehicle, the memo said. Drivers of two other Toyota vehicles that crashed last week said those incidents also resulted from the vehicles accelerating suddenly. NHTSA is sending experts to a New York City suburb where the driver of a 2005 Prius said she crashed into a stone wall Monday after the car accelerated on its own. And in Fort Wayne, Indiana, the driver of a 2007 Lexus said it careened through a parking lot and crashed into a light pole Thursday after its accelerator suddenly dropped to the floor. That car was the subject of a floor mat recall. Driver Myrna Cook of Paulding, Ohio, said it had been repaired. Thomas reported from Washington, D.C.